“Confidence through menopause,” such is the promise of Harmony Menopause. This product is a natural health supplement. It has a fairly well-established online reputation and presence with plenty of consumer reviews. What Does Harmony Menopause Claim? Women who are having issues handling the symptoms of menopause might be able to achieve substantial benefits from using this particular menopause product. This is definitely something quite important. The product itself does seem as if it is quite reliable and it might be able to help you with common symptoms such as mood swings, hot flashes, irritability, and others of the kind. Who is the Manufacturer of Harmony Menopause? Martin & Pleasance is an Australian made and owned company that has been operating for over 150 years, producing quality natural remedies and medicine since 1855. A few of its best menopause supplements are Homeopathic Complex Range, Rescue Remedy, Spatone and Bach Flower Remedies. The company is also one which seems to be very well-established and it takes proper care of its product’s distribution. This is something quite important and it goes on to show that there is a lot of merit within the product itself. 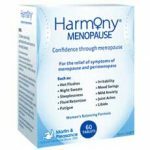 Harmony Menopause claims to provide relief from a wide array of menopause symptoms such as irritability, menstrual cramps, sleeplessness, mild anxiety, night sweats, breast tenderness, mood swings, joint aches, headaches, abdominal bloating, and fluid retention. How Does Harmony Menopause Work? Harmony Menopause works by combining the effects of nine herbal extracts and as well as nutrients (as mentioned below) to create a synergistic effect of balancing the hormones in a woman’s body which are erratic during menopause (especially estrogen). Harmony Menopause Ingredients – Are they Safe & Effective? Angelica polymorpha (Dong Quai) root, 200 mg – It provides nourishment and alleviates fatigue. Rehmannia glutinosa root, 1.2 g/1200 mg – It provides relief from hot flashes and fatigue, also improves libido. Buplerurum falcatum root, 200 mg – It stabilizes mood and emotion. Calcium hydrogen phosphate, 350 mg (Calcium 81.6 mg). Magnesium amino acid chelate, 50 mg (Magnesium 10 mg). Calcium amino acid chelate, 50 mg (Calcium 10 mg). Cholecalciferol, 2.5 mcg (Vitamin D3 100 IU). Dioscorea opposite root and rhiz, 200 mg – It reduces night sweats. Vitex agnus-castus fruit, 100 g – It relieves headaches, fluid retention, and irritability. What are the Advantages of Harmony Menopause? It is processed from natural nutrients and herbal extracts which might not be harmful to your health. This supplement is free from gluten, dairy and wheat thus may not be allergic to the users. It is claimed that the manufacturer provides consumers with good customers’ services. Their customers can earn bonus points with every order they make which might encourage more purchase of their products. What are the Disadvantages of Harmony Menopause? How Much is Harmony Menopause? It is available at the cost of $35.98. How You Should Take Harmony Menopause? The supplement comes in tablet form and it is recommended to take 1-2 tablets twice daily (but the frequency may be adjusted to suit individual needs). Two tablets once a day may be taken as a maintenance dose. The dosage and frequency may be adjusted by a healthcare professional. Harmony Menopause is said to show results within a month. However, based on consumer reviews, the effect may vary from one person to another. There are those who have experienced relief from their hot flashes just a few days after taking the product. On the other hand, one account stated that it took her more than 3 weeks of taking Harmony Menopause but still, she has not experienced any changes. Herbs do not usually interact with other medications, but it is better for a woman to take caution by informing her health practitioner regarding the use of this natural medicine. In some instances, consumers who are taking anticoagulant and cardio-meds should be careful in taking it as herbs may have a positive effect on the body’s circulation. It is always best to inform one’s healthcare provider before taking Harmony Menopause. Who Can Take Harmony Menopause? Women who are in their menopausal stage can take this product. However, those who are on HRT (Hormone Replacement Therapy) are prohibited from doing so. 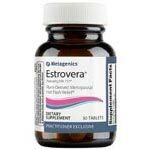 Women who are weaning off from HRT and would like to take this product should talk to their healthcare provider first. The menopause supplement seems like one which might be able to help you get through menopausal symptoms in a lot easier and convenient manner. This is something that you should keep in mind. You could potentially go through it without having to go through serious mood swings, hot flashes, and all those unpleasant symptoms. The ingredients within the formulation do seem like ones that you could be able to rely on and they are said to be quite prominent. Of course, when it comes to using a product that’s going to have something to do with your hormonal balance, the best thing that you can do is to talk to your gynecologist. This is quite important. After receiving his opinion, either use the product as per the instructions or go ahead and find an alternative.